Hamas are not burrowing tunnels because Gaza has no port. They are burrowing them despite the fact it does not have one. Israel's intelligence and transport minister has long pushed the idea of an artificial island off the coast of the Gaza Strip, with plans for a port, cargo terminal and even an airport to boost the territory's economy and connect it to the world. - A New Island in the Mediterranean... Just Off Gaza Reuters June 29, 2017. A little over a year ago, I wrote a column harshly criticizing the proposal for the construction of a port of any sort for Gaza, particularly one to be located on a detachable artificial island, to be built 3-4 km off the Gazan coast. What I wrote then is just as pertinent today. Sadly these caustic remarks are still as relevant today—as unbelievable as that may seem. For as harebrained, hazardous—indeed, hallucinatory—the idea is, it remains stubbornly on the agenda, refusing to fade into the distant realms of fantasy, where it clearly deserved to disappear. 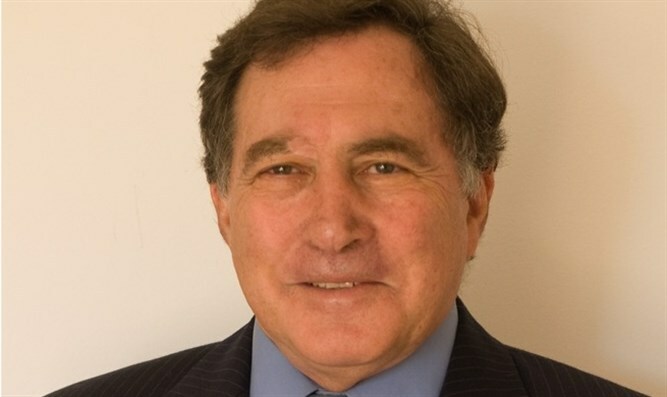 Thus, in recent months Israel Katz, who holds the transport and intelligence portfolios, has been raising it incessantly and insistently, reportedly winning significant support from some of his fellow ministers, with only the opposition of Defense Minister Liberman, preventing a government decision to proceed with this preposterous and perilous plan. Indeed, towards the end of last month, Reuters reported that “Israel's intelligence and transport minister… Israel Katz, has released a slick, high-production video setting out his proposal in more detail, complete with a dramatic, English-speaking narration, colorful graphics and stirring music”. The grandiose “vision” would include the construction of vast infrastructure facilities, including cargo and passenger ports, a marina, gas and electricity terminals, a desalination plant and, potentially, a future airport. Of course, this leaves one to struggle with the trenchant question why it would be more feasible to build these ambitious installations on a detachable, multi-billion dollar, floating island rather than on dryland, just a few kilometers away, and where, despite decades of massive international aid, nothing even remotely similar has ever emerged. Perhaps even more perplexing is the rationale given for the project. According to the previously mentioned promotional video, providing a port to Gaza will help Israel deal with the negative international perception that Gaza’s current unenviable condition is due to the fact that it is under siege by Israel: “Today, Israel continues to be perceived as being responsible for the Gaza Strip and is to a large extent the only lifeline to it, even though it withdrew from the strip over a decade ago". The narrator suggests that “Construction of an artificial island with a port and civilian infrastructure installations off the coast of Gaza will provide the Palestinians a humanitarian, economic and transportation gate to the world” adding reassuringly “without endangering Israel's security”. So, to put worried minds in Israel at rest, the video stipulates: “…in order to ensure that security threats are addressed, Israel will remain in control of security in the sea around the island and of security inspection in the port”. So here’s the kicker: If Israel is to maintain its power to police what goes in and out of the port, and inspect what goes on inside it, how does that in anyway diminish its status as effectively controlling the fate of Gaza? And why would its control over the flow of goods into Gaza via a seaport be any less onerous than its control over that flow through the existing land routes into Gaza? But that’s not all. For then comes the following staggering suggestion: “An international policing force will be responsible for security and public order for the island and for a checkpoint on the bridge which will connect the island to the coast”. An international policing force? Really? Gee, what a god idea! Especially since that idea has failed so spectacularly in Bosnia and Somalia and Lebanon and Rwanda and …. And are the port proponents seriously advocating that some international force will adequately man and manage a checkpoint on the narrow bridge between the Gaza mainland and the island, when it is precisely the IDF’s maintenance of such land-based checkpoints that has brought international condemnation of unjustified “humiliation of the Palestinians”. Even more to the point, do they really believe—especially given past precedents—that after a single suicide attack by Islamist extremist, the international policing force will have the resolve and commitment to persist with its mission and not vacate the island—leaving Israel with the thorny dilemma of ether abandoning the island, port and all, to the Hamas (or some more radical successor) or taking over the island itself, negating the very rationale for its construction in the first place!!! Moreover, the very rationale for the port is damaging, playing directly into the hands of Israel’s detractors. After all, to suggest that by alleviating economic hardship in Gaza, Israel could diminish the motivation for terror is, in effect, not only inverting the causal relationship between the two, but it also implies that the victims of terror are to blame for their attackers’ aggression. Little could be more counterproductive—and misleading—for Israel. Indeed, the dire situation in Gaza is not the cause of the terror that emanates from it. It is the consequence of that terror. Clearly, the onerous measures that Israel is compelled to undertake to ensure the safety of its citizens is not the reason for, but the result of that terror. Equally if the latter were eliminated, there would be no need for the former—and far more rational solutions than a multi-billion dollar artificial island could be found to facilitate the flow of goods and people to and from Gaza. This prosperity-prevents-terror thesis is wrong on virtually every level. Firstly, it is risible to believe that Hamas, who has deliberately put its own civilians in harm’s way, gives a hoot about their economic well-being. After all, if it has scant regard for their lives, why should their livelihood be of greater concern? Sadly then, the case presented for providing Gaza a port strongly reinforces the rationale justifying terror, implying that it is largely economic privation which is the primary cause of the Judeocidal terror emanating from Gaza, and if the residents of that ill-fated strip were afforded greater prosperity, this would operate to stifle the motivation to perpetrate acts of terror. However, it is far more likely that, if the general economic situation were to improve, Hamas would coercively appropriate much of this new found wealth for its own belligerent needs--with prosperity thus making it more potent—not more pacific. Accordingly, no great analytical acumen should be required to swiftly bring us to the conclusion that a port in Gaza will never be a panacea for the poverty of the population—and that Hamas, and its other terrorist cohorts, are not burrowing tunnels because Gaza has no port. They are burrowing them despite the fact it does not have one. After all, in effect, Gaza already has a modern port at its disposal, under Israeli supervision, barely 35 km. north of it, far closer to it than many locations in Israel: The port of Ashdod. Obviously, under conditions of peace (or even credible non-belligerency) Ashdod can supply all Gaza’s supervised civilian needs--without squandering billions on a fanciful floating island port. However, under conditions of on-going belligerency, even under the strictest Israeli supervision, there is no way—short of taking control of Gaza—to ensure that dual purpose material such as cement, fertilizer and steel will not be used for belligerent purposes. The severity of this problem—and the futility of a Gaza port as a means of solving—or even alleviating—it, was vividly underscored by a report from last year’s UN World Humanitarian Summit, which revealed that Hamas had been siphoning off 95% of the cement transferred into the Gaza Strip to rebuild homes, using it instead for military purposes/tunnel construction. So, even if the island port were to be placed under tight inspection, how could Israel ensure that the building materials that went to construct the labyrinth of tunnels underlying Gaza would be used for more benign purposes? How could it ensure that steel was not being used to fabricate missiles and the means to launch them? Or fertilizers being diverted for the manufacture of explosives? Furthermore, how is Israeli supervision to be maintained, and the safety of the Israeli personnel together—with the international forces—be ensured in the isolated off-shore port, should they—as is far from implausible—be set upon by a local bloodthirsty mob? There are also likely to be unknown environmental consequences, with serious concern being raised as to the detrimental effect such a large off-shore construction would have on Israel’s beaches to the north, which are likely to be severely eroded as they are deprived of sand deposits carried today by the northbound currents which would be disrupted by the artificial island. These—along with numerous other questions clearly underscore how demonstrably detrimental and detached from reality the notion of a detachable port for Gaza really is. Defense Minister Liberman is, of course, to be commended for his rejection of the ill-conceived initiative. However, disturbingly, he is on record not so long ago, supporting it—true, basically on condition that Hamas would un-Hamas itself. Thus, in February this year Liberman proposed an initiative for transforming Gaza “into the Singapore of the Middle East”, which included building a seaport and an airport and by creating an industrial zone that would help produce 40,000 jobs in the strip, if Hamas agreed to demilitarization and to dismantling the tunnel and rocket systems it has built. Clearly then, the grave economic situation that plagues Gaza will not be alleviated by providing it with access to port facilities, which, in principle, it already has. As noted, Israeli restrictions on the flow of goods are not the cause of Arab enmity, but the consequence thereof. The crippling unemployment, reportedly above 40%, will not be alleviated by transferring Israeli supervision from Ashdod and the Gaza border crossings to an off-shore islet.There is soaring unemployment because any creative energies that might exist, are not channeled by those who rule Gaza toward productive/constructive goals, but into fomenting violence against the hated “Zionist entity.” A port will not change those realities.Indeed, it may well exacerbate them.The penury of the enclave is not due to lack of resources, but to the preferences and priorities of the brigands who govern it. Accordingly, as past events show, Israel can only determine who governs Gaza – and who does not – if it governs it itself.